Out of Bounds Comedy Festival is one of my favorite festivals because it incorporates improv, sketch, and stand-up. In the past, I have gotten to enjoy rap-battles, improv acts like Lounge-A-Saurus-Rex and Third Curd, improvised stand-up, regular stand-up, and fantastic parties populated by hundreds of my favorite performers from all the country. I recently found out I have been selected to perform in the 2014 Out Of Bounds Comedy Festival! Yay! I am so excited I made a special Out-Of-Bounds-inspired Pig Pic! 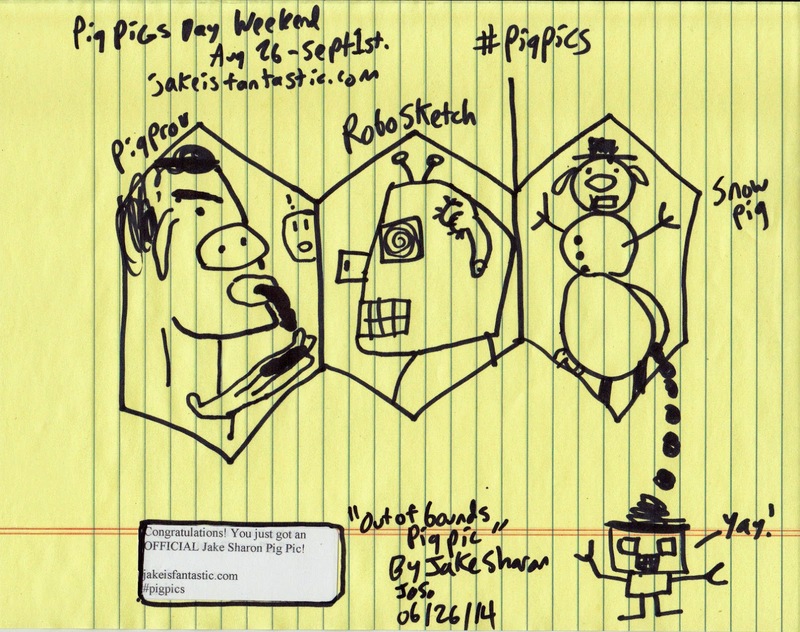 Thank PigBot that Out Of Bounds does not happen in the world of #pigpics. All that poo, blood, slime and pig juice would make the stages too slippery for comedy. You should come to this year's Out Of Bounds Comedy Fest. Instead of snowpigs and pigbots, there will be a great lineup including folks from Key and Peele, Breaking Bad, PLUS improvisors, sketch troupes, and stand-up comedians from all over North America! 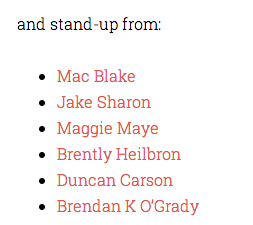 Oh yeah: I am excited because along with Mac Blake, Maggie Maye, Brently Heilbron, Duncan Carson, and Brendan K O'Grady, #oobfest2014 put my name in their featured lineup!